Whenever you find it troublesome to go to the gym and do some exercise, then you are better off buying a gym equipment and do it in the comforts of your home. Rowing machines have been around for many years and can promote a competitive exercise option just like an elliptical machine. There are two types of rowing machines for home use. One is a folding type, and other is fixed type. Folding type rowing machines occupy less space while fixed machines are space consuming. Fixed machines are more durable but for indoor use, a folding machine is usually preferred especially if you have a small space in your home. The most common rowing machine that many people buy is the magnetic type because magnets are used to provide adjustable resistance. Also, these machines are lightweight and noise efficient. Magnetic rowing offers adjustable resistance system that makes rowing operation more effective. There are majorly three types of rowing machine by resistance system like water, air, and hydraulic. Before deciding which one to buy, always consider trying it out first so you know which one can meet your expectations. 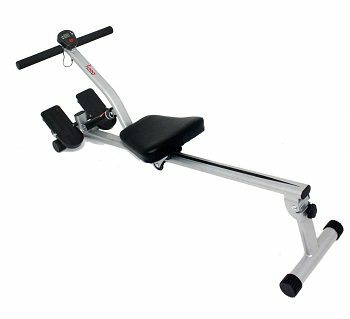 If you are looking for such an exercise machine that offer workouts for all body parts, then you must buy a rowing machine. Now, here are the top best that might help you decide if want to get one. The Stamina Air Rower is designed to offer a smooth, solid, and comfortable rowing workout at home for a Low-impact, full-body workout. It’s a Wind-resistance rowing machine with a multi-function performance monitor. It features a monitor display with speed, distance, time, and calories burned. Padded, upholstered seat and large footplates for any size user over-sized, angled seat rail for smooth sliding. Built for smooth operation, the Air Rower features an oversized, angled seat rail and smooth sliding seat for easy seat return. Folds for storage with built-in wheels for portability; floor protectors prevent skidding. This rowing machine comes with a three-year frame warranty and a 90-day parts warranty. 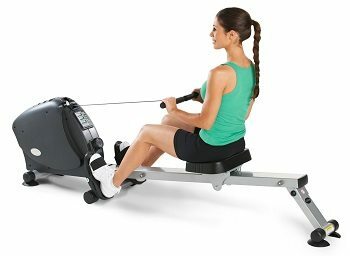 This is an excellent rower, especially at this price point. 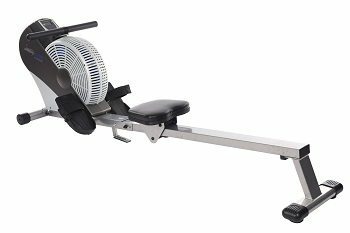 If you are looking a durable and compact rowing machine, then the Lifespan RW1000 is your next choice. It features a smooth and quiet eddy current drive system with a 16.5-pound flywheel. Three-LCD console provides distance, calories, time, strokes, and strokes per minute workout feedback. A 300-pound maximum user weight, five-year frame warranty, two-year parts warranty, and one-year labor warranty. 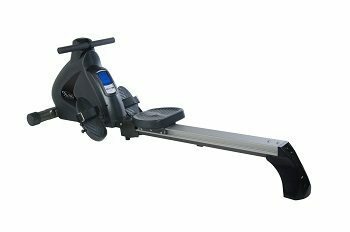 This rower has an easy to use console that includes readouts for distance, time, calories, stroke count and strokes per minute giving you all the information you need to get a great total body workout. Overall, this is a solid product for the price. The new standard in home fitness! The SF-RW1205 Rowing Machine offers all of the necessities for an amazing cardio workout. It offers low-impact exercise and a great full body workout. It is equipped with a comfortable, smooth running seat and pivoting foot plates with adjustable foot straps for added comfort this stepper features 12 levels of easily adjustable resistance. 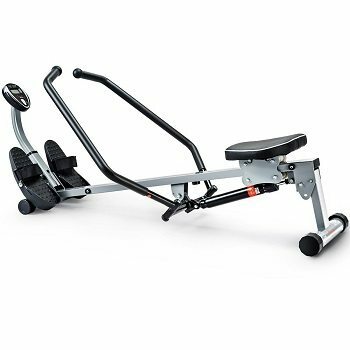 It features hydraulic cylinder resistance with 12 adjustable levels as it provides a low-impact aerobic exercise. An LCD monitor displays the time, count, total count, calories burned, scan. Cushioned non-slip grip handlebars and fully padded ergonomically designed seat. This rowing machine is simple to assemble and can easily fit in small living space. The Stamina Avari Programmable Indoor rowing machine is an efficient, effective total body workout that utilizes all major muscle groups. It features 12 workout programs including six cardio Profiles, 1 Manual, 4 Custom user programs and 1 Heart rate program. There is a Fitness monitor keeps you motivated by tracking time, count, distance, calories, strokes per minute, pulse and watt. You can use the up and down arrows on the In Touch® Fitness Monitor to adjust workout time and resistance on the fly. It has a molded seat, and the extruded aluminum beam provides a smooth movement. Overall, it is a high-quality product with good resistance, decent programmable settings and not too large for indoor use. 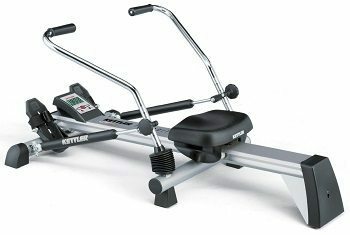 Stay in peak shape and train in your home with the Kettler Favorit rowing machine. It features two hydraulic cylinders with continuous resistance and a comfortably ergonomic seat. There is a training computer that provides info on time measurement, a number of oar strokes, speed of strokes, distance covered, and more. Also comes with a program for desired distance covered and stroke speed, visual and audio signals. Rowing is an especially balanced form of exercise that involves all the main muscle groups and increases the efficiency of the heart. So if you want to experience a unique type of exercise, you might want to consider this machine. Work every major muscle group in your body one row at a time with the Sunny Health & Fitness Machine with Full-Motion Arms. The Rowing Machine with Full Motion Arms allows full range movement, with 12 levels of adjustable resistance. Fully thick-padded seat, non-slip grip handlebars and large anti-slip pedals with adjustable foot straps allow for optimal comfort. Full-Motion Arms targets all major muscle groups such as the legs, arms, back, and abs. There is a built-in LCD that displays your time, count, calories, and total counts. This rowing machine has a sleek, solid steel frame provides optimal support and comfort. Overall, it is an awesome product for the price and easy to use and build. 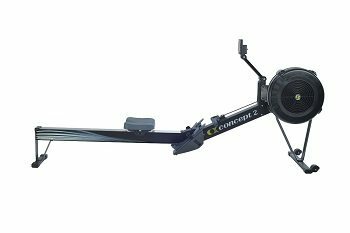 If you’re looking for the best quality rowing machine out there, then the Concept2 Model D will surely live up to your expectations. It includes the Performance Monitor 5, giving you accurate, comparable data for every row; Adjustable monitor arm. It also has a 14-inch seat height, nickel-plated chain, adjustable footrests and ergonomic handle. It easily separates into two pieces for storage, and the caster wheels make it mobile. Indoor rowing is an effective full-body, low-impact workout; Flywheel design minimizes noise while maximizing a smooth feel. This rowing machine is a great product that is fast and easy to assemble, easy to use and great results.